On the 19th June 2015, Park Home Assist celebrated its 10th Birthday. This a fantastic occasion for Park Home Assist and the 15,000 homes we cover nationwide. 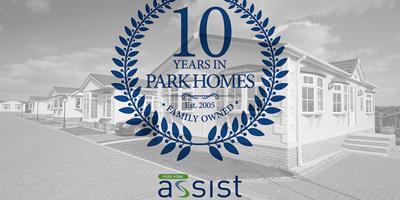 Park Home Assist was founded in 2005 to give Park Home owners the cover which suited their specific needs. We are proud to be providing cover to so many of you and hope to meet your insurance needs for many years to come. Since it’s founding, Park Home Assist has always stayed true to the core values. So, why do people choose us? The challenge to keep providing the most comprehensive cover and excellent customer experience motivates us to keep innovating and you can be assured that we will always have the customers interested at heart.